Her new album SUBLIME is here! I'm completely blown away. 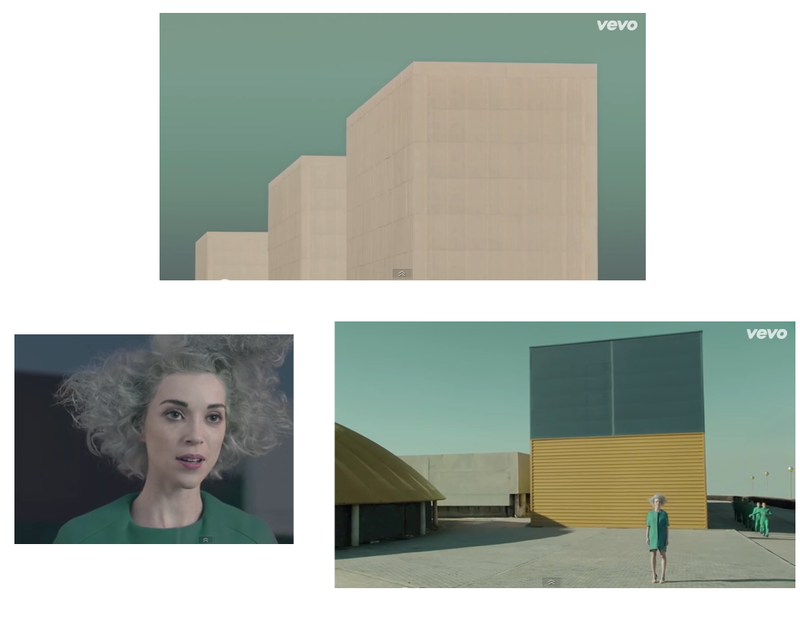 I've always loved St Vincent since day 01 and all the more that her new single DIGITAL WITNESS was presented in a visual aesthetic that I truly love. I was surprised by her light grey hair and minimalist look ala Ivania Carpio save for the green Jil Sander-esque dress. Along with it is the tasteful plot/ setting that would make you remember the minimalists Charlotte Perriand and John Pawson's work. 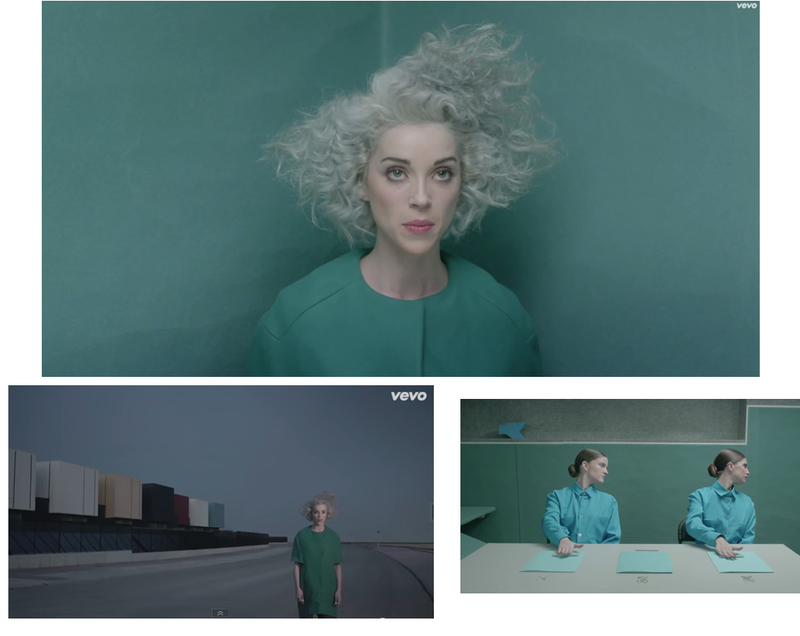 Her haunting voice, automaton-like styling and postmodern music come together to conjure a social commentary about self-transparency and digital addictiveness.. I love this! <3 The look!!!! Thanks for sharing!! !